Hey there! Today I am bringing you a fun tutorial using something you already have in your kitchen or in my case my studio! Paper towels! 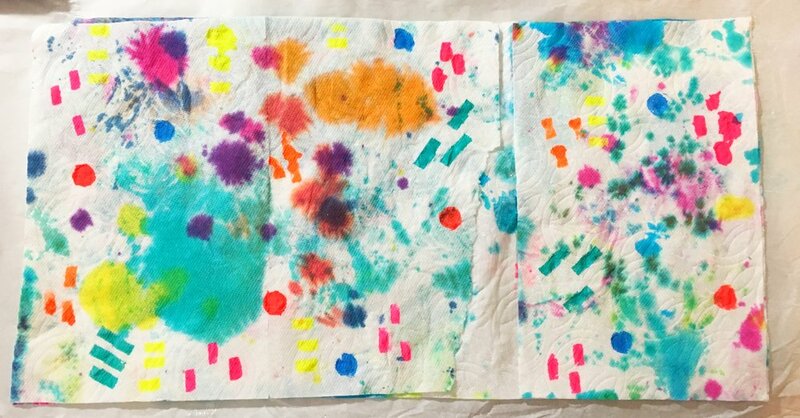 I am constantly wiping or even smearing my paint with paper towels and well they are always to pretty to throw away! So I wanted to find a fun way to use them in my art! 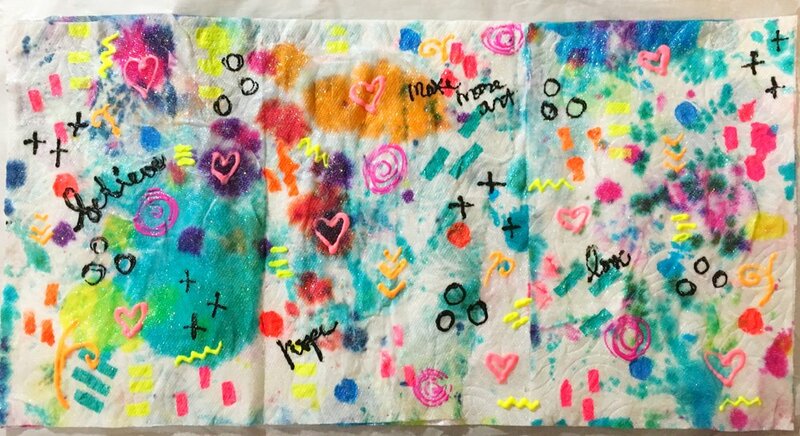 So here goes some fun collage paper made out of inky paper towels! 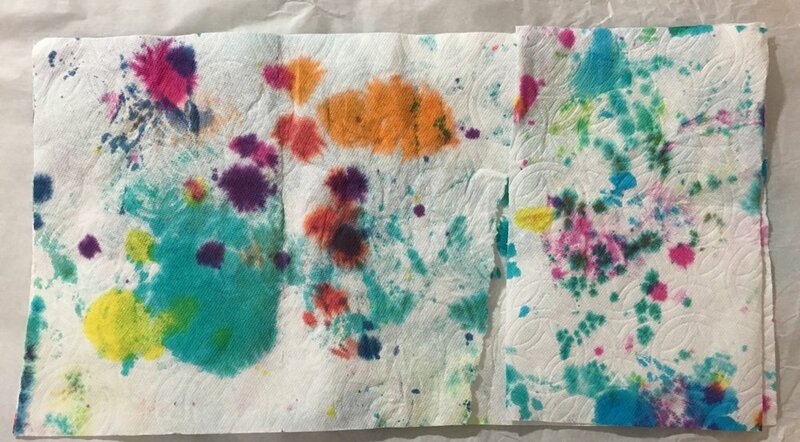 So the first thing you want to do is have two layers worth of paper towel, then completely cover the bottom layer with gel medium. Once you've done that had your second layer and completely cover that with gel medium as well. 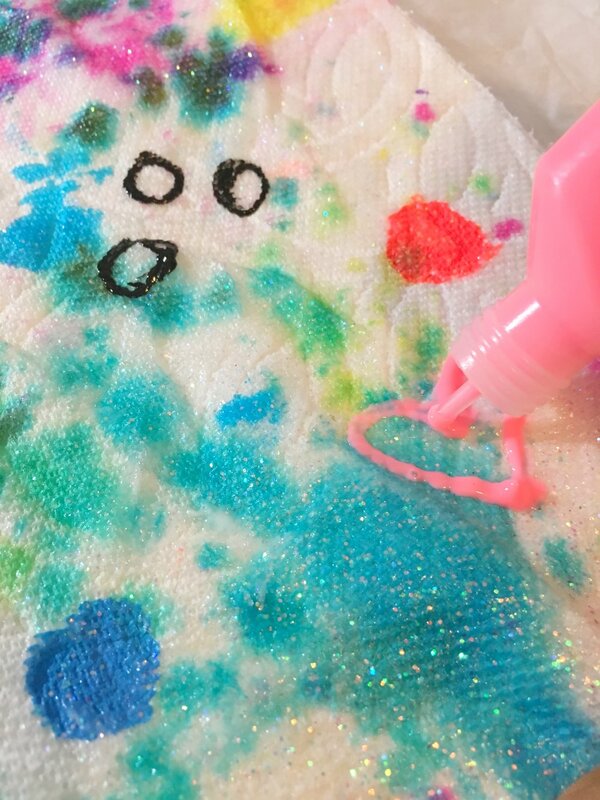 I put four coats total of the gel medium all over my paper towel making sure to get the ends and corners really well covered with the gel medium. 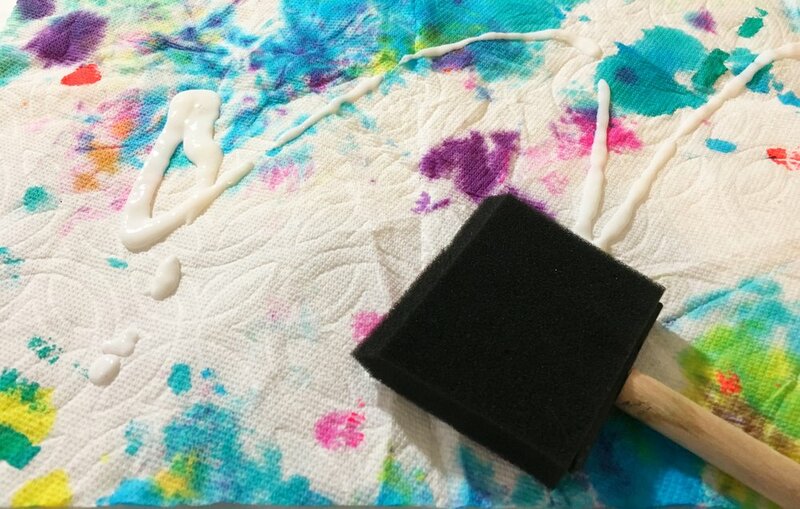 Once the gel medium is dry, now you can start having fun! I added some marks with my thick paint markers, added a bunch of doodles with different colors of puffy paint. I decided to stop there, but you could keep going and add stamping even add collage elements on top or pour some glitter on it, just have some fun with it! Here is the art journal page I finished using some punched hearts and some other cut pieces of the paper towel. The cute digital stamp is my own design and one you can find in my Etsy store for only TWO dollars! You can check that out here!